You're Here: Home / Blog / Digital Signage / News / Coming soon- a brand new website! Coming soon- a brand new website! 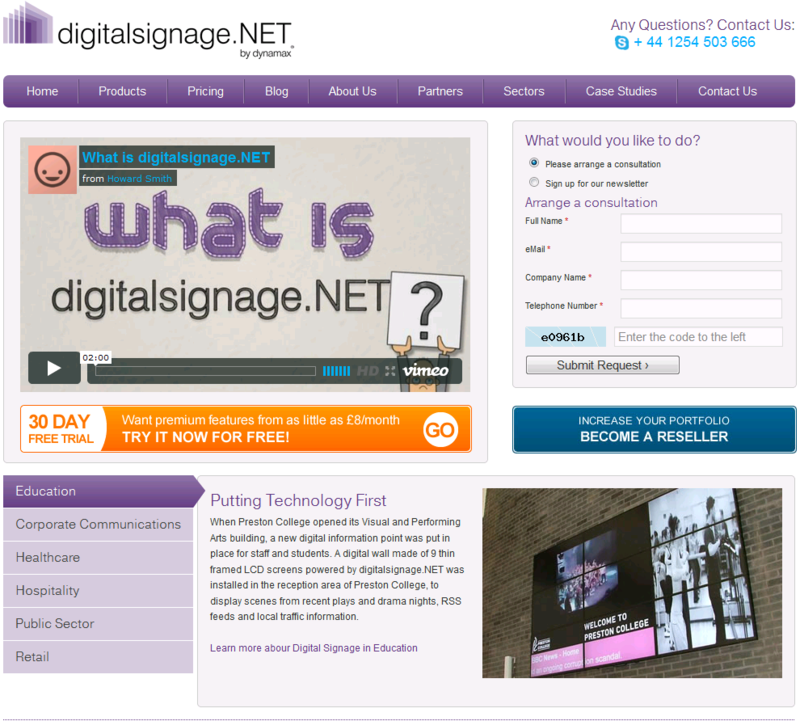 We’ve been busy lately working on our new website which means that yes, digitalsignage.net is getting a facelift! As you can see from the photo below, the website will have a new look and feel thanks to our imaginative designers. We’ll keep the same corporate colors though but anything else (in terms of design) is up for change. Buy online– the new website will allow you to buy monthly or yearly subscriptions of our cloud- based application- digitalsignage.NET directly from our website so you can start sending news, ads and information to your screens from any PC or MAC connected to the Internet. Team up with us- we’ll give you more information on why you should be partnering with us, what we offer to our partners and how can digitalsignage.NET enrich your AV or IT portfolio. We’ll stay modest and let an existing partner tell you more about our staff’s and product’s contribution to their business. Broadcast yourself? Videos will be more prominent than before as they play an increasingly important role in our marketing and communication strategy. We will reshuffle pages a bit to improve navigation and we’ll provide you with more details on key matters- such as the features of digitalsignage.NET and the potential uses of the technology in different environments (education, corporate, hospitality etc). No more ‘’buzzing’’! Don’t worry, we won’t bin our blog, we’ll simply rename it… So yes, it’s not going to be called Buzz anymore, but simply Blog. Don’t hesitate to subscribe to it if you like the posts and pass us your comments and suggestions (by email or in the posts themselves). All in all, the new digitalsignage.net website is meant to give you easier access to the software and the information regarding it, a better understanding of digitalsignage.NET and a smoother overall user experience. Feel free to drop us a line if you have any suggestions and let us know if you ‘Like’ the news. This entry was posted in News and tagged digitalsignage.NET by Dynamax. Bookmark the permalink.